iACT - Redondo Beach, CA | CommitChange | We help organizations raise more money, more sustainably. iACT is a Los Angeles-based international organization providing humanitarian action to aid, empower, and extend hope to those affected by mass atrocities, to create a world where people are connected and equipped to act. iACT is a hands-on leader empowering those affected by mass atrocities to live healthier and more dignified lives. Through advocacy and on-the-ground change, we provide the tools and training necessary to create a new culture of participation for people responding and facing humanitarian crises worldwide. Internationally, iACT utilizes innovative thinking, human-centered design, and collaborative relationships to co-create replicable and cost-effective programs. Since 2005, iACT has facilitated refugee-led education, sports, and human rights programs that build resilience, cultivate recovery, and promote peacebuilding and gender equality. We are committed to enriching lives, pursuing peace, and helping refugees with day-to-day survival. Little Ripples, a cost-effective and replicable early childhood development program that empowers refugee women to implement state-of-the-art preschool education in order to support the social-emotional, cognitive, and physical development of refugee children ages 3 to 5, is an iACT education program. iACT also works to increase the human rights knowledge and leadership capacity of refugee communities through workshops, facilitated discussions, and technology. 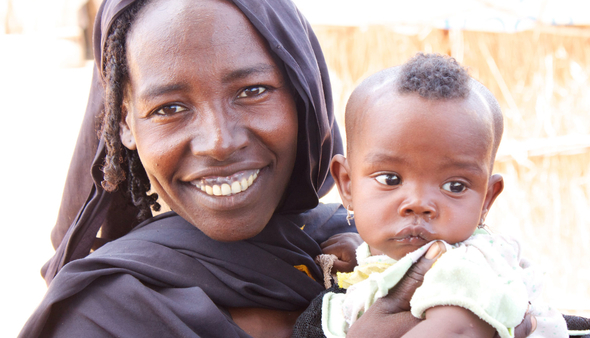 Little Ripples Global Citizens is a U.S.-based preschool curriculum that connects children with their peers living in Darfuri refugee camps and attending Little Ripples preschool centers. Grounded on the pillars of peace, helping, and sharing, the program fosters these connections through empathy-based and developmentally appropriate lessons that meet nationally recognized preschool learning foundations. iACT facilitates the Refugees United Soccer Academies, a comprehensive and replicable child development soccer program that trains and employs refugee men and women to provide a safe place for refugee children to learn soccer, health, and peacebuilding curricula. The 12 soccer academies in central African refugee sites provide more than 10,000 girls and boys with the opportunity to grow, heal, and play. The Darfur United Men’s Team is an all-refugee team that raises awareness for Darfur, fosters hope and unity among Darfuri tribes dispersed between the camps, and serves as a microphone for an often voiceless and powerless community. In late 2018, iACT will hold the first-ever Refugees United all-coaches training camp, as well as create the Darfur United Women's Team. iACT implements, develops, and participates in campaigns and programs that are at the forefront of the humanitarian effort. We have an uncompromising determination to achieve positive change on behalf of beneficiaries. Through responsive action campaigns and leadership development in the U.S., iACT provides tools and training necessary to create a new culture of participation for people facing and responding to humanitarian crises. iACT develops and leads nation-wide advocacy campaigns to engage people in authentic action, and trains and supports leaders across the country in mass atrocity prevention. Our work has measurable results in providing mindful change and lasting mental health benefits. iACT fosters hope, confidence, and healing in the lives of those affected by violence and displacement. Across and through our work, male and female refugees are trained and employed to lead education, sports, and human rights programs in their communities; children access safe places to learn, play, and be empowered with their peers; and families are connected globally. iACT has traveled to Darfuri refugee camps 29 times since 2005, and has also gone to Cameroon, the Central African Republic, and Tanzania. iACT's refugee camp programs were created with and coordinated by the refugees themselves. Refugees United Soccer Academy runs in 12 refugee sites in central Africa, serving over 10,000 refugee youth. iACT has over 150 refugee employees in its sports, education, and human rights programs in eastern Chad. Little Ripples is a cost-effective and replicable early childhood development program that empowers refugee women to implement state-of-the-art education, in order to improve the social-emotional, cognitive, and physical development of young children. The Postcard Brigade is an easy and inexpensive way for you to speak out on behalf of those suffering through genocide and human rights atrocities in Sudan, South Sudan and the Democratic Republic of Congo.